HaShem speaks to Avram (only later on does Avraham get the Hebrew letter “hey” in his name), commanding him, “Go from your land, from your birthplace and from your father’s house, to the land which I will show you.” Here, Hashem says, that Avram will be made into a great nation. Avram and his wife, Sarai (the “yud” becomes a “hey” soon), accompanied by his nephew Lot, journey to the land of Cana’an, where Avram builds an altar and continues to spread the message of a one G-D, rather than multiple ones. A famine forces the first Jew to depart for Egypt, where beautiful Sarai is taken to Pharaoh’s palace; Avram escapes death because they present themselves as brother and sister. A plague prevents the Egyptian king from touching her, and convinces him to return her to Avram and to compensate the brother-revealed-as-husband with gold, silver and cattle. Back in the land of Canaan, Lot separates from Avram, and the two go in opposite directions, because Avram does not like how Lot is rasing his sheep. Lot settles in the evil city of Sodom, where he falls captive when the mighty armies of Chedorlaomer and his three allies conquer the five cities of the Sodom Valley. Avram sets out with a small band to rescue his nephew, defeats the four kings, and is blessed by Malki-Zedek the king of Salem (Jerusalem). HaShem seals the Covenant Between the Parts with Avram, in which the Galus (exile and persecution) of the people of Israel is foretold, and the Holy Land is bequeathed to them as their eternal heritage. Still childless ten years after their arrival in the Land, Sarai tells Avram to marry her maidservant Hagar, who is the daughter of the Egyption king but given as a present to Avram when he left Egypt. Hagar conceives, becomes insolent toward her mistress, and then flees when Sarai treats her harshly; an angel convinces her to return, and tells her that her son will father a populous nation. Yishmael is born in Avram’s eighty-sixth year. 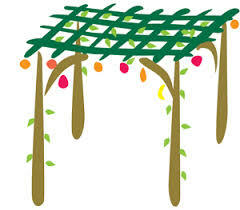 Thirteen years later, HaShem changes Avram’s name to Avraham (“father of multitudes”;), and Sarai’s to Sarah (“princess”;), and promises that a son will be born to them; from this child, whom they should call Yitzchok (Isaac) (“will laugh”;), will stem the great nation with which HaShem will establish His special bond. Avraham is commanded to circumcise himself and his descendants as a Brit Mila (“sign of the covenant between Me and you.” Avraham immediately complies, circumcising himself and all the males of his household. 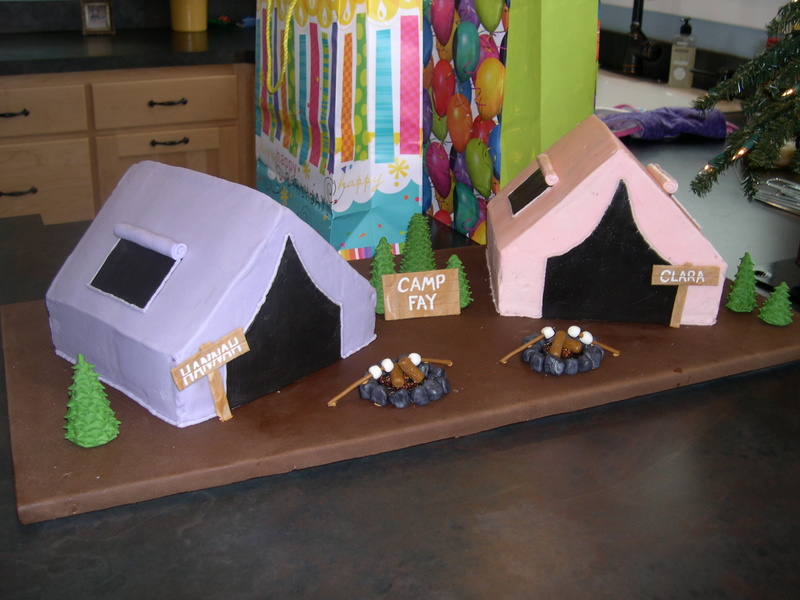 Recipe of the week: In honor of the tents that Avraham and Sarah lived in, we will be making tent cakes! – This recipe makes approximately 24 cupcakes when cupcake tin is filled more than ¾ full. When filled ½ full, this recipe makes approximately 36 cupcakes. Bake approximately 18 minutes.